Is it a toddler dream to stroll in the crisp winter air, snug as can be with an amazingly lush blanket , but without a worry in the world of ever losing it out the side of their ride? If toddlers don’t dream of it, parents certainly do and now the dream is real with the Nuddle Baby Stroller Blanket! The Nuddle Baby Stroller Blanket is, just as the name suggests, like wrapping your bub in an awesome cuddle – a generous double sided plush fabric cuddle complete with a foot pocket for making sure feet stay toasty warm. We love that the Nuddle Baby Stroller Blanket caters for a five point harness with openings to thread straps through so the blanket is securely attached to both child and stroller. At this point, you probably wish (at the very least I do) you yourself can have a Nuddle blanket to call your own, and the good news is that you can. 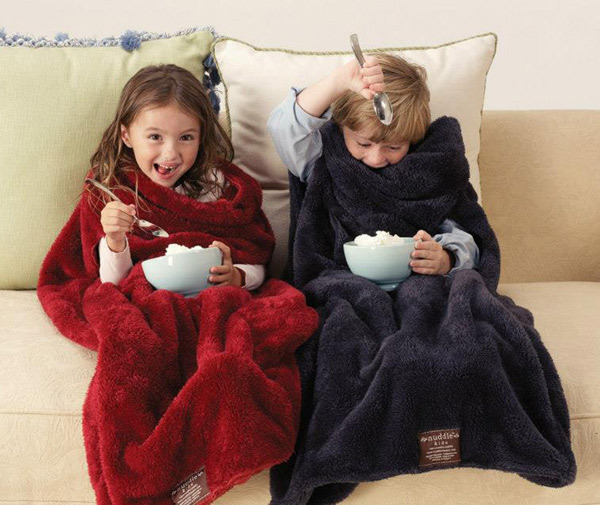 The Nuddle is available in sizes to suit kids and adults, keeping everyone smugly snug this winter! The Nuddle Baby Stroller Blanket is available in three colours – Oatmeal, Bubblegum Pink and Cloud Blue and is $44.95 from Nuddle Blanket, which delivers all over Australia for free.